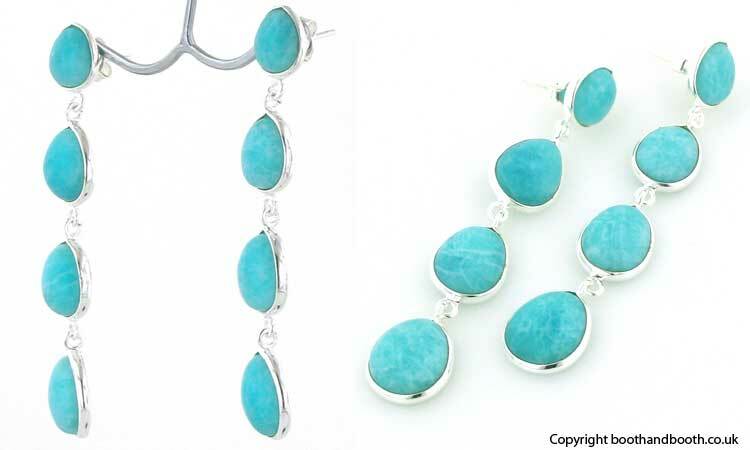 Amazonite earrings set in sterling silver. 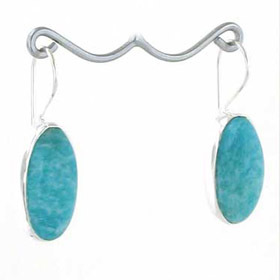 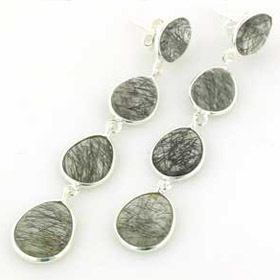 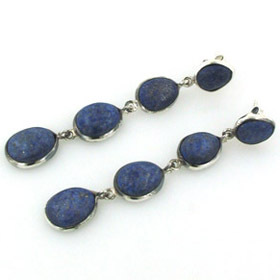 The three droplet stones are delicately bezel set in sterling silver so the earrings will not weigh down your ears. 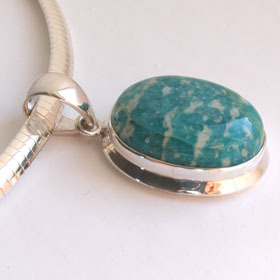 Amazonite is a gorgeous colour - aqua into jade with pale reticulations - a perfect complement to all skin colours. 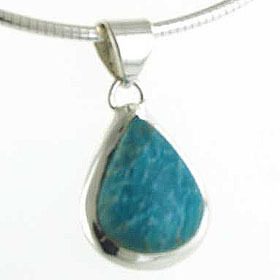 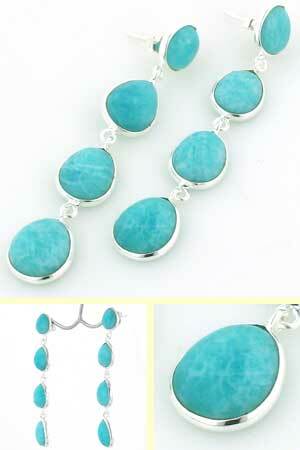 For information about amazonite, see About Gemstones. 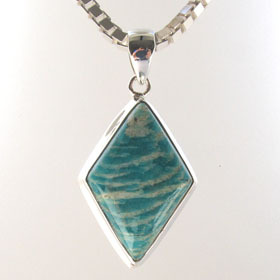 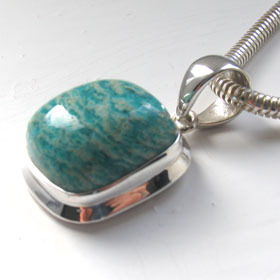 See also our amazonite pendants.